Hey! 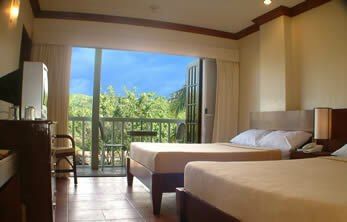 Jude Boracay Hotels in Boracay Island, Philippines know how to make your trip to paradise even more exciting. With Hey! Jude Resort Hotel — once just a popular bar and bistro — now a full-fledged accommodation for vacationers, you’ll enjoy many of the great qualities that have made us such a favorite among guests. From our friendly service to our lively atmosphere, you’ll surely have your fill of island fun and recreation here. Furthermore, our location within D’Mall in Station 2 offers easy access to shops, restaurants, and White Beach. And now with Hey! Jude South Beach, our second site right on the beach, you’ll have the perfect spot to view the stunning sunset. 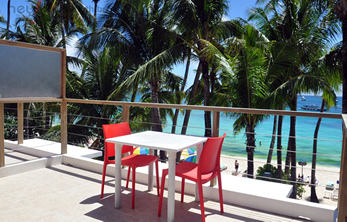 When all you want to do is enjoy Boracay’s pristine waters, we have all your needs covered. With Hey! Jude Resort Hotel and Hey! Jude South Beach’s selection of island activities, your pleasure and satisfaction is guaranteed. 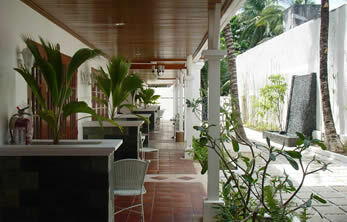 When you’re at our Boracay hotel, you'll find superb comfort within our cozy, tastefully appointed rooms. Each one is fitted with a private toilet and bath, air-conditioning, cable TV, and free Wi-Fi Internet access plus other essential amenities for a delightful stay. Aside from swimming in the famous white-sand beaches of Boracay, you can look forward to plenty of worthwhile activities here. Our services include diving, snorkeling, and island hopping. These can surely make your family vacation an enjoyable experience. Hey! Jude Resort Hotel is just a minute away from the beachfront (D’ Mall), allowing quick access to the powdery white sands and dazzling waters of Boracay. Most especially, it's the place to experience the night life that never ends with neighboring bars and restaurants. Hey! 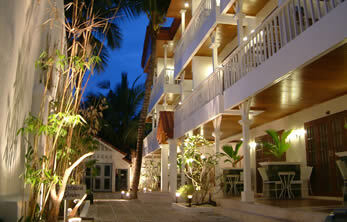 Jude Resort Hotel, indeed, is a great spot to enjoy exciting tropical happenings. 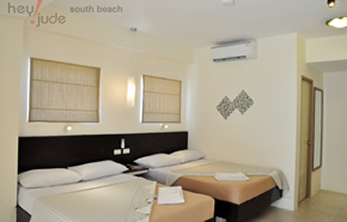 Let our air-conditioned accommodations be your hideaway from the excitement and buzz of Boracay. Choose from our Standard, Superior, and Deluxe rooms with access to balconies that offer beach views. Each is also equipped with a flat-screen TV and hot and cold shower. 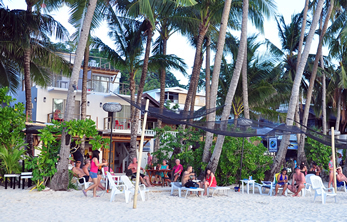 Treat yourself to endless fun and excitement in Boracay with the services our resort hotel offers. Go island hopping, diving, or kite boarding with your friends and family. These are just some of the thrilling island activities you can enjoy. Our beachfront accommodation, Hey! Jude South Beach, is close to Coco Loco in Station 3 (Sitio Angol). It lets you savor the changing scenes at the shore while sitting on the sand, on a beach chair, or from the balconies of the hotel — an oftentimes meaningful and unforgettable experience.